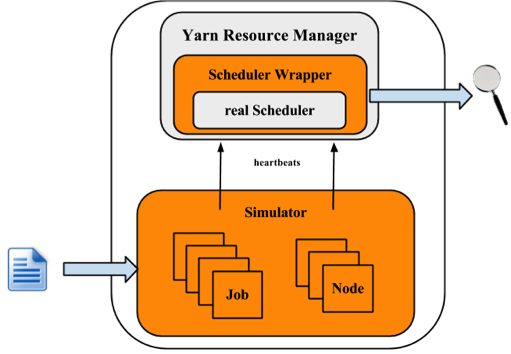 The Yarn Scheduler Load Simulator (SLS) is such a tool, which can simulate large-scale Yarn clusters and application loads in a single machine.This simulator would be invaluable in furthering Yarn by providing a tool for researchers and developers to prototype new scheduler features and predict their behavior and performance with reasonable amount of confidence, thereby aiding rapid innovation. 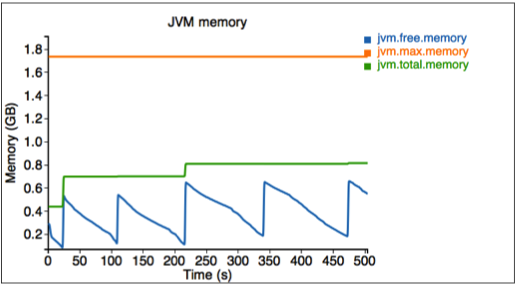 The simulator will exercise the real Yarn ResourceManager removing the network factor by simulating NodeManagers and ApplicationMasters via handling and dispatching NM/AMs heartbeat events from within the same JVM. To keep tracking of scheduler behavior and performance, a scheduler wrapper will wrap the real scheduler. 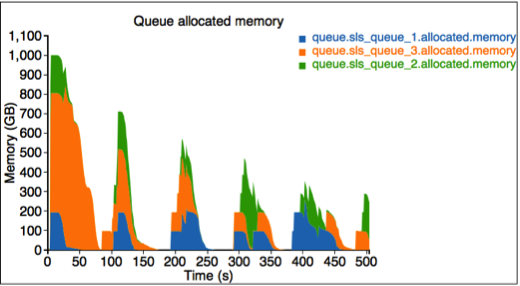 Resource usages for whole cluster and each queue, which can be utilized to configure cluster and queue's capacity. 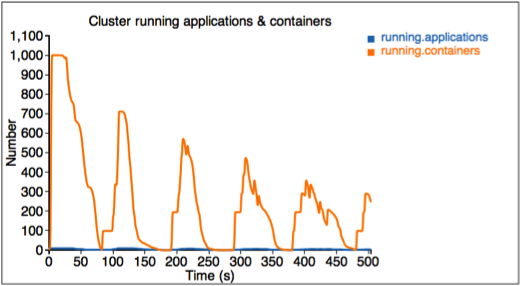 The simulator takes input of workload traces, and fetches the cluster and applications information. For each NM and AM, the simulator builds a simulator to simulate their running. All NM/AM simulators run in a thread pool. The simulator reuses Yarn Resource Manager, and builds a wrapper out of the scheduler. 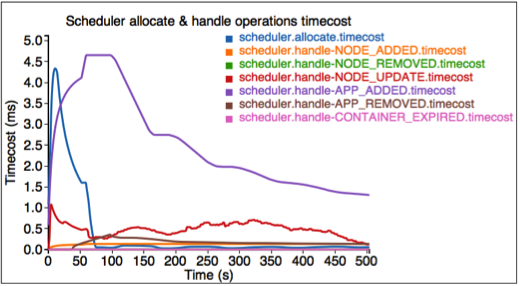 The Scheduler Wrapper can track the scheduler behaviors and generates several logs, which are the outputs of the simulator and can be further analyzed. 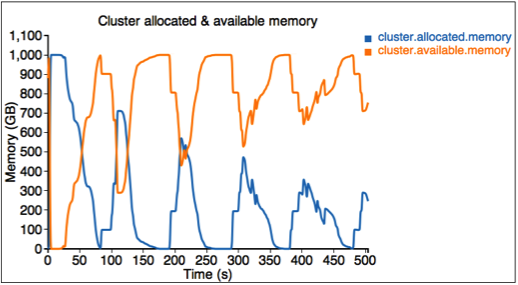 Validate scheduler behavior for "large" clusters and several workload profiles. html: contains several html/css/js files we needed for real-time tracking. For configuration of Hadoop and Yarn scheduler, users can refer to Yarn’s website ( http://hadoop.apache.org/docs/current/hadoop-yarn/hadoop-yarn-site/). The simulator uses a thread pool to simulate the NM and AM running , and this parameter specifies the number of threads in the pool. --input-rumen: The input rumen trace files. Users can input multiple files, separated by comma. One example trace is provided in $HADOOP_ROOT/share/hadoop/tools/sls/sample-data/2jobs2min-rumen-jh.json. --input-sls: Simulator its own file format. The simulator also provides a tool to convert rumen traces to sls traces (rumen2sls.sh). Refer to appendix for an example of sls input json file. --output-prefix: The prefix of the generated files. The default value is ”sls”, and the two generated files are sls-jobs.json and sls-nodes.json. Here we'll illustrate each chart shown in the webpage. YARN-1021 is the main JIRA that introduces Yarn Scheduler Load Simulator to Hadoop Yarn project.